that makes you feel unworthy. You settle and think oh well this is all I can get even though you know you deserve better and you should walk away instead of settling. Recently, a remodeler coaching client told me his customers would never pay a higher price. We reviewed his direct costs, overhead and subsequent pricing and found out he was working for a very low rate. His hourly rate after all expenses paid was $25.00 per hour. He is taking on all the risk and responsibility of the company for a meager fee. Looking at examples of his work and testimonials from clients, it is apparent that he is an excellent craftsman and provides outstanding customer service. However he is working over 60 hours per week and the job is starting to eat into time with his children and wife. Playing devil's advocate, I suggested that maybe he would do better getting a job working for someone else and his wife agreed. Why bother taking on all the risk and not have enough time to spend with the wife and kids. The wife chimed in and suggested that it is impacting the relationship. This remodeler is playing not to lose and has bought in to the concept that he should not mark up materials, subs and only charge for labor. He has not put in the time to figure out his true costs of operating the business. He said he is too busy working in the business that he does not have enough time to work on it. He said that is why he called me! Going into jobs he assesses labor at a $50.00 per rate. After a close examination of the true time spent he is only earning $25.00 per hour. Ouch! We will fix this immediately by developing his plan and budget. Then we will begin the realignment of his business and professional focus. I like and believe in this man. In addition to his skill and service to his clients he has integrity oozing from his soul. I have developed a plan to improve his chances to succeed, however it will be up to him to put in the effort. He has yet to learn that with planning and preparation, best practice strategy and the right attitude he can begin to earn a better wage on par with the skill and professionalism he currently delivers. Don't settle, don't let the play not to loose attitude take residence in your thinking. It will cause disappointment and frustration that lingers. Instead change your thoughts to those that inspire you to give every reasonable effort to win. The start of the journey to success begins with the first step. One does not have to settle for second best. 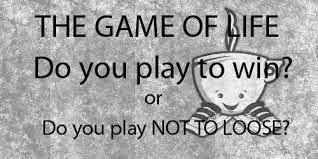 Instead one can decide to adopt the attitude of playing to win. 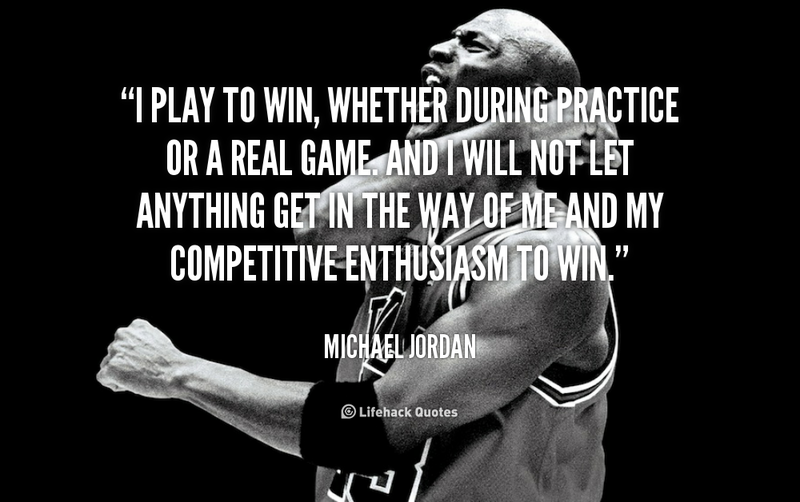 I am sharing this quote from Michael Jordan as it has lifted me up when faced with obstacles.